Mangoes originated in southern Asia. India remains the world’s largest producer, growing 19.5 million metric tons of mangoes every year (2017)! For comparison, the second largest producer (China) grows only 4.9 million metric tons. The United States produces a little over 1 million metric tons of mangoes every year. 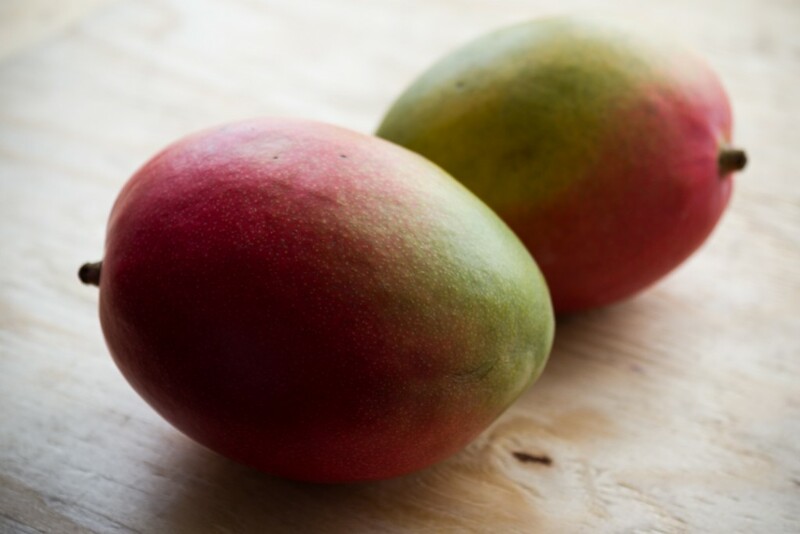 Because mango trees require a tropical climate to thrive, if you find yourself eating a domestic mango, it probably came from Florida, California, Hawaii or Puerto Rico. Most of the mangoes eaten in the United States actually come from Mexico, which is the 5th largest producer of mangoes worldwide. Over the last 30 years, American imports of mangoes only have increased! We love mangoes because they’re so darn sweet and juicy. 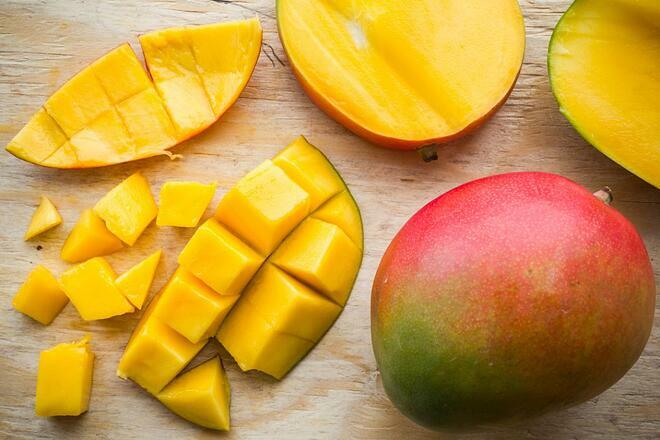 It’s no surprise that one cup of mango contains 24 grams of sugar. But did you know they’re also packed with nutrients? There are hundreds of known mango cultivars that come in different shapes and sizes with a wide array of textures and flavors. 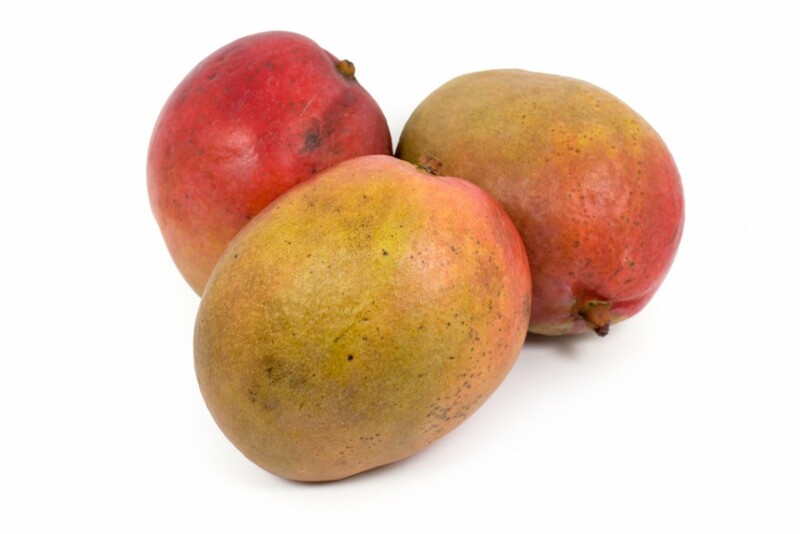 Here are the 3 most common mango varieties that the Boston Organics Community will find in their boxes. Basic Qualities: This is your iconic mango cultivar. Dark red skin with green and yellow accents. Firm flesh with a mild and sweet flavor. 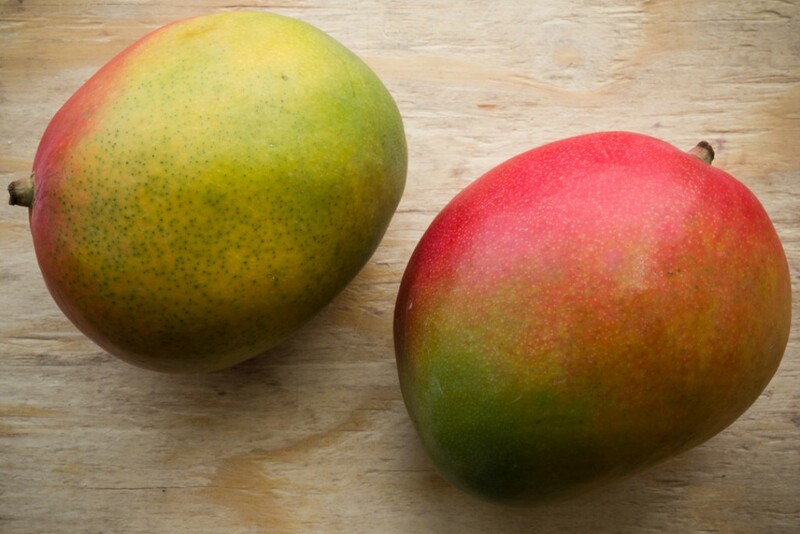 Ripening Clues: Squeeze gently to judge ripeness as this mango’s color does not indicate ripeness. History: Developed in Florida in the 1940s for juicing and drying, but can also be eaten raw. Basic Qualities: Rich, sweet flesh without too many fibers. Ripening Clues: A Kent’s skin will usually turn from green to yellow and red as they ripen, but the squeeze test is still the best way to judge ripeness. History: Grown almost exclusively in Mexico, Americans are starting to seek out Ataulfos because of their high flesh-to-seed ratio. Also known as honey mangoes or champagne mangoes. Basic Qualities: Sweet and creamy with few fibers. Ripening Clues: An Ataulfo’s skin will stay yellow as it ripens, but you know it’s ready to eat when the skin starts to wrinkle. Just like there are lots of different kinds of mangoes, there are many ways to eat a mango. Here are 2 videos showing 3 different ways. Use a knife to peel the mango, then cut slices off of the pit. Alternatively, use the knife to cut both sides off from the seed. Then, cut a checker pattern into the flesh, then “pop” the skin inside out and trim off “diced” mango pieces. Use the lip of a cup to quickly and easily separate the flesh from the skin! 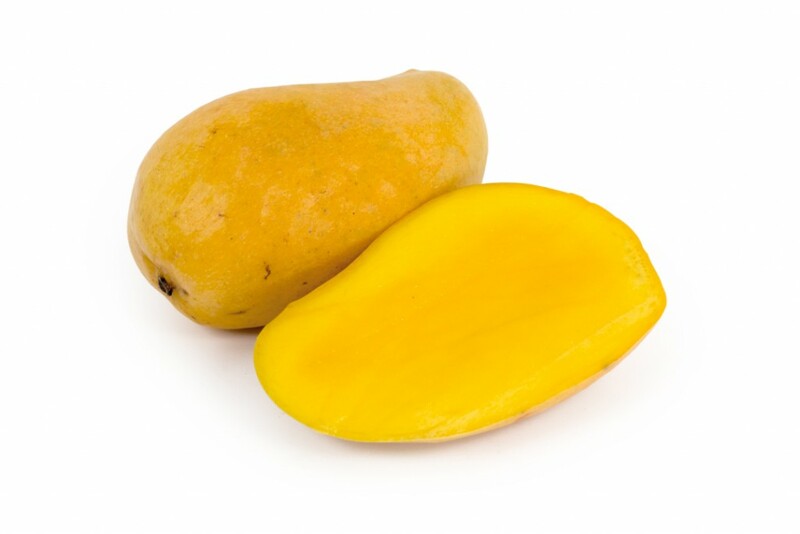 You can always eat mangoes by itself, in smoothies, or other dishes. 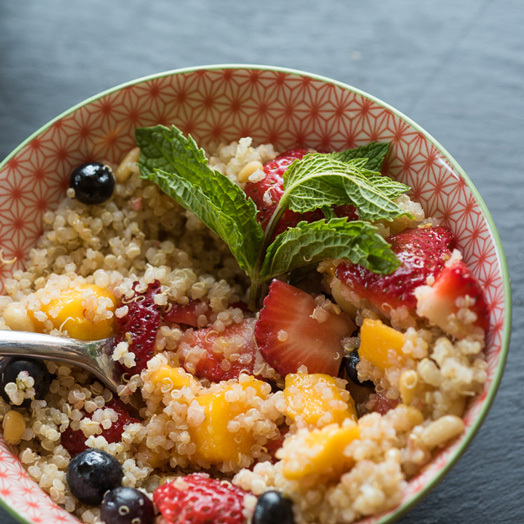 Try out this Quinoa Fruit Salad, or other mango recipes!